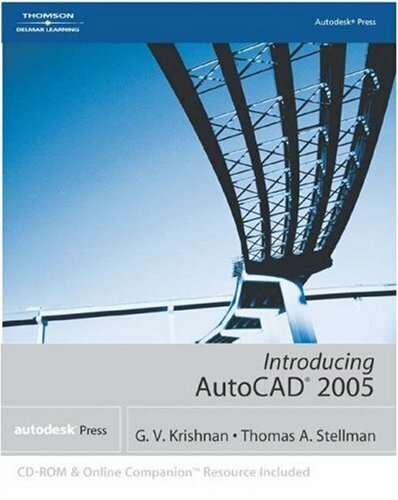 to proficient use of AutoCAD 2005. Thomas A. Stellman conducts AutoLISP seminars, has published in Cadence magazine, and recently retired as project coordinator for a state-of-the-art engineering firm. The author of Delmar's Practical AutoLISP, he has been teaching for more than 20 years. G. V. Krishnan is Director of the Applied Business & Technology Center at the University of Houston (Downtown). He has been teaching basic through advanced AutoCAD courses for than 20 years at one of the nation's largest authorized Autodesk Training Centers.